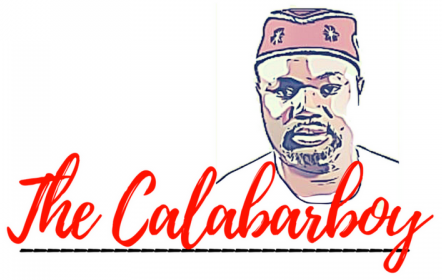 BAKASSI REVISITED | Thoughts of a Calabarboy. BAKASSI REVISITED – Thoughts of a Calabarboy. Some straight talk here. If I were from Bakassi, I would probably be organizing some of my fellow young men to become Bakassi militants. We would be looking for which government official to kidnap to press for our demands to be met, and since we are scarce listened to, we will also go further hinterland and capture dignitaries. We also will raid police and military posts and steal weapons, as well as deal with the Cameroonian Gendarmes who wander into our red zone. The past few statements sound very stupid and are apparently the steps that an uncultured mind would seek to follow in addressing his grief over a lost heritage. But while I sheath my imaginary sword, I dare to say that when people behave irrational, look closely, something about their survival instinct has been encroached upon, thus throwing all caution to the wind, they put up uncivil actions. I will not be surprised if my fellow brothers from Bakassi abandon their fishing nets and boats to take on arms and defend their history and future. People will naturally fight for their common good when their government fails to defend their existence. 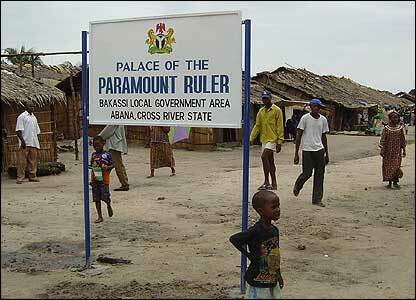 The Nigerian government has fail woefully to preserve the lives and comfort of the Bakassi people. The history of these people dates back to 15th century when Efiks settlers expanded to the region as a fishing settlement. So we are not talking of an entirely different tribe of people, but the same people who live in Akpabuyo, Ikang, and Calabar. These are Efik people who are spread through out the region and settled for Sea-related economics. My concern now is not about the huge mess Nigeria got into by deferring to the decisions of the International Court of Justice,but about the implications of the foolishness we have just exhibited by handing over the land that even those in authority have no knowledge of its history. This is like waking up in the morning and discovering that you were sleeping on another man’s bed. There is no doubt that the ICJ ruling is binding upon us, since we had opted to accept whatever the ruling was, but every country’s actions are on the basis of its national interests. What the Nigerian government has done shows that it can’t even determine or articulate what is the national interest is. How then can we trust it to cater for the interests of its citizenry. Let me state is very clearly here: “You cannot legislate a peoples history”. We know that litigation ought to be the end of all disputes, but when the law has failed to secure peace, then politics must come to play in defending interests through negotiations. The sad part is that when politics fails to confront the limitations of the law, what may result could be violence. As much as we hope that this issue does not turn into that, we cannot how ever be numb enough to be passive watchers of a wasting circumstance. I pray that the people of Bakassi will know that where there is life, there is hope, and that a new beginning can amount to new successes in the adventure of life. Now the rest of the world sits back and expect Nigeria to be civil in its actions. They forget hastily that the matter in question emanated from the foray of colonialist for which almost every part of Africa has a negative testimony. Britain has not made any practical effort, seeing that the judgment of the ICJ is based on a treaty made between the British and the Dutch (Anglo-Dutch treaty of 1913). If I were to argue against such a treaty, I would note that you cannot transfer ownership of what you did not originally own. The British didn’t own the territory, but were mere stewards of it. They had in 1885 signed a treaty of protection with the Kings and Chiefs of Old Calabar, which conferred on them the status of protectors, not owners. Therefore the British couldn’t have given to the Dutch what they didn’t own. Disappointingly, the British have not stepped in to clarify this, rather they have joined the rest of the world asking for Nigeria to be civil….. hisssssssssssssssss!!! Also, whatever the actions of Gen. Gowon, it is irrelevant, because first, his government was an illegitimate one and operated not by our sovereign constitution. Therefore one man cannot carryout an action detrimental to our national security and interest and expect a legitimate government to follow suit. I expected that the National Assembly would have known better and revoked any prior agreement that overrode the right to existence of these people. Finally I would posit that we still have no value for the people we call Nigerians. If we did, we will not dispossess this people of their heritage and give it to strangers who have no historical attachment to the area. I am not just speaking from the air. I have stepped feet on the land called Bakassi, I have interacted with the people, I have bought crayfish from them, I have taken their speed boats, I have asked them questions, and I have received answers from them. All they want is that the world should ask them where they want to belong to and let them make the choice, rather than open blackmail. Sebi una dey see wetin our gofment dey do? Make person no say I no warn una ohhhh. If Bakassi become like Niger-Delta, na our gofment fault ohhh. ← NIGER-DELTA: A CIVIL WAR IN THE MAKING? i AM INCLUDING THIS WONDERFUL PIECE IN A NEW ARTICLE COMING ONLINE TODAY. I HOPE YOU AND YOURS ARE WELL AND THAT YOU WILL COME OVER, TAKE A LOOK SEE AND SHARE YOUR THOUGHTS AS YOUR OPINION IS ALWAYS APPRECIATED AND SOUGHT AT NIGERIANCURIOSITY.COM. OH, and, sorry for the caps. lol! I wasn’t ‘screaming’ at you, just neglected to turn that function of. After reading the article, I had some regrets; why didn’t the Nigeria populace both local and abroad protest heavenly during the court case before and after the treaty was passed. I am now not in regret any more. I am convinced now that there is hope. You cannot extinct history and people. Let all Nigeria young and small be educated on this and let the struggle for the survival of this region be protest across the border of the world. You have spoken well. The joy and happiness of future generations has been mortgaged by the stupid self-gratifying desires of today’s leaders. What our history is so far, as a nation, is so appalling it brings tears to my eyes everytime I think about it. We have what it takes to be kings on this earth yet our leaders have chosen to make us slaves. Simply put, our leaders have failed us. I will like to say something: you corrupt leaders won’t live forever. One day, good will overcome evil because evil cannot thrive in the land forever. This is quite insightful and I like your logic. I believe something is inherently wrong with our culture and the way we reason. These politicians are our fathers, uncles etc.